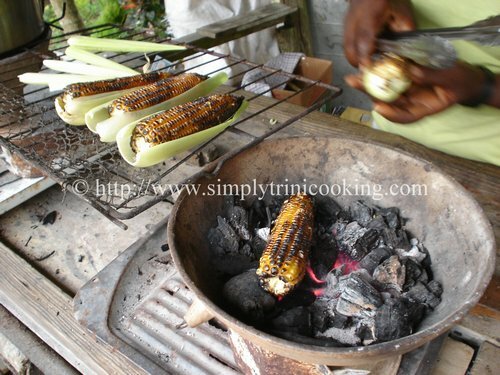 In Trinidad and Tobago, roasted corn or “roast corn” is a popular delicacy, and another street food we all love. In the streets, the vendor allows you to choose the corn you would like and it would be roasted on the spot in front of you. The corn is placed directly in the fire, frequently turned until the ears are cooked, and while this is being done a sweet semi roasted scent envelops the makeshift stall. As your appetite grows, so too does the scent. Roasted corn is best hot. The slightly burnt, smokey taste of the roast corn is an experience to enjoy, especially knowing that roasted corn is the best choice nutritionally. (Click here to find out about the nutritional value of corn). The great thing about roasted corn is that the flavor of the corn is actually heightened. Mostly on account to the corn caramelizing. That is why roast corn has such a rich taste. It is even richer if you add butter and salt before you roast it. Roasting corn is the easiest thing to do. However, mature corn is best to roast. You can roast your corn over a flame or coals, but some people like to roast their corn in the oven or on a barbecue grill. However, before you roast your corn you must prepare them. First peel the corn husk and remove the strands of silk. A good hint I found is to soak the corn for a few hours, so the corn do not dry out when it is being roasted. Remove them from the water, as an added option you may now wipe the corn with melted butter, salt, and pepper. Generally, the corn is roasted for about 15 minutes. 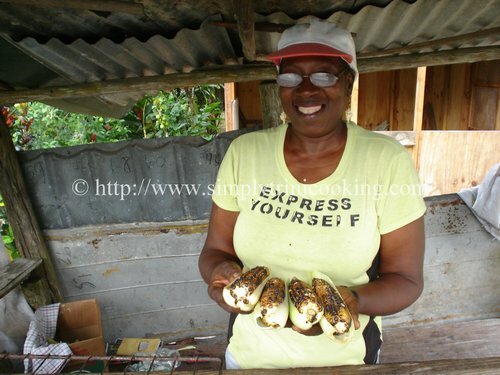 Recently, I was up Toco and I stopped to get some roast corn. 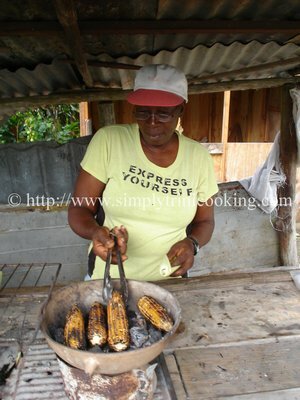 With camera in hand I photographed the woman roasting corn in a coal pot just like long time. 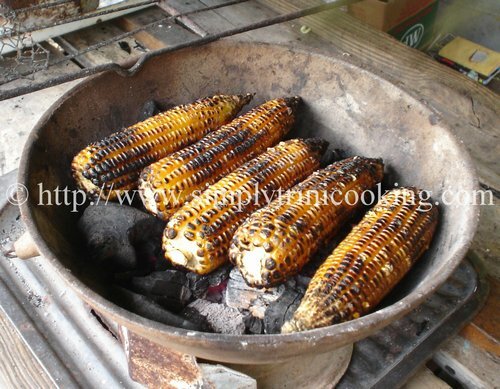 The mature corn ears are placed over the coals and turned occasionally. Previous Post: « What Have I Been Up To? Just Shopping…Organic Shopping That is! 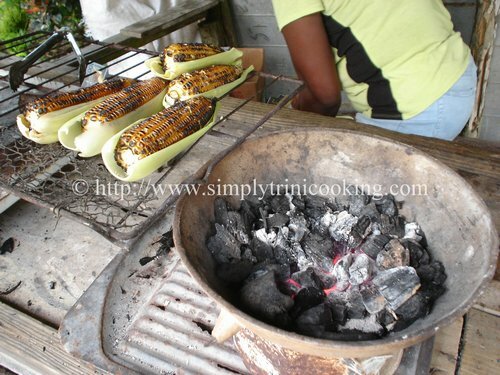 I had doubles and oysters on the street in Trinidad…how did I miss the roast corn? It looks fantastic.